The Blue Crush Slide Rocks! 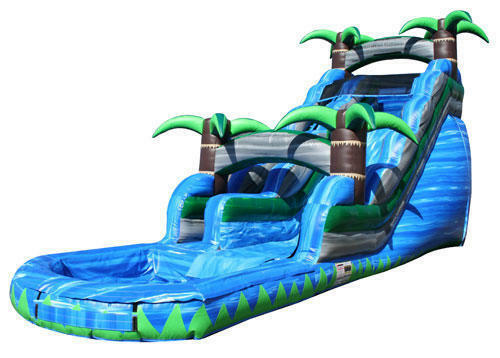 The 22ft Blue Crush is one of the most awesome water slide rentals around. perfect for your backyard birthday party or corporate event! It features a tropical themed 3D environment that your guests will love. Climb the inflatable slide on the left of the unit, and slide down the 22 foot drop into the inflatable pool below.